20 kms inside the mountains of Mansalay, Oriental Mindoro, Philippines, the indigenous kids of the Buhid and Hanunuo Mangyan Tribe plays against each other using a small basketball. 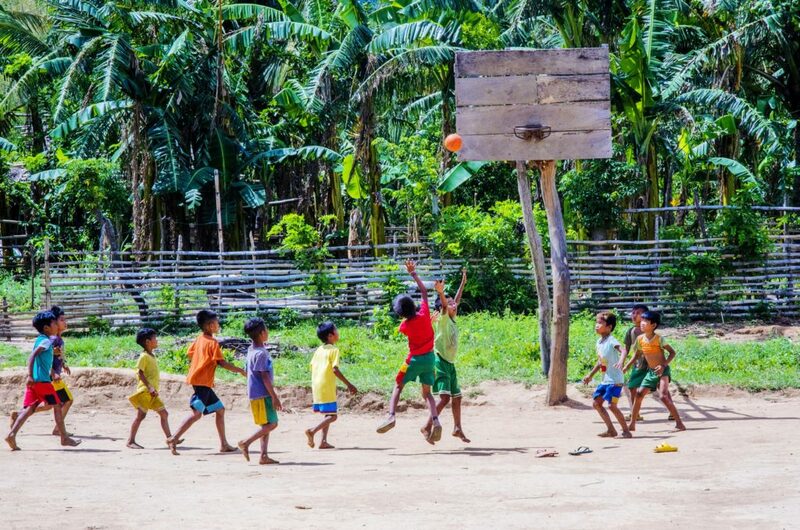 Due to the distance of their home from the town proper, these kids haven't seen how a professional basketball game is played they just imitate the older tribesman on how they play basketball. This photo was taken last April 08, 2018.